Hanoi Railway Station has two parts: Part A and Part B. The more impressive station building is in Part A. The terminal in Part A has a distinctive modernist architectural design feature, which was added at the original building in 1976. The central part of the building had been bombed during the Vietnam War leaving only the wings of the original building intact, and what was built in place of the damaged central section is modern, bold and striking. 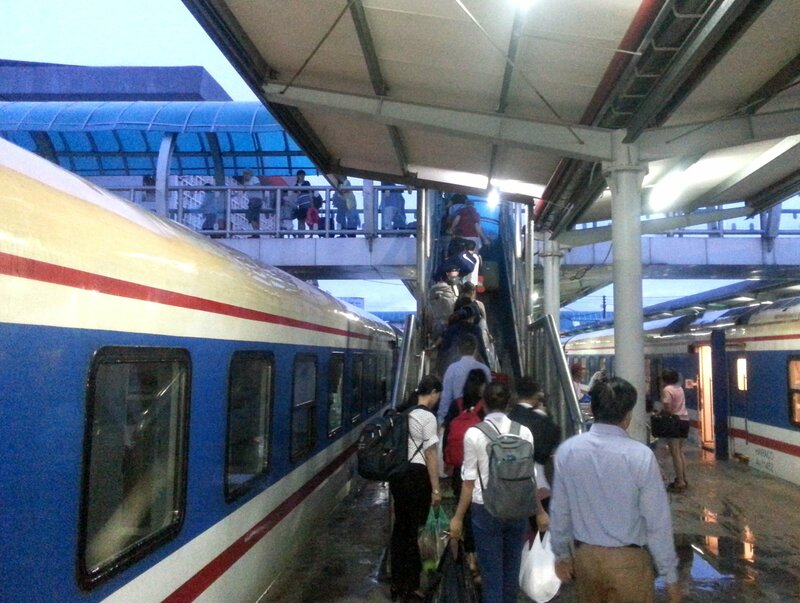 Trains running on the reunification line towards Saigon depart from, and arrive at, the station in Part A. Trains to Lao Cai, near Sapa, depart from the less grand station building in Part B.
Hanoi Railway Station is locally centrally in Hanoi, only 2 km away from Hanoi’s lively Old Quarter area. There are lots of shops and restaurants within easy walking distance of the Railway Station. This is a part modern, part antique train station with elements of the original building opened in 1902 alongside modern innovations such as automated ticket barriers and electronic display screens. The upstairs area in the centre of the terminal in Part A is in a different architectural style which is reminiscent of the type of modernist architecture associated with the Soviet Union during the 1960s. 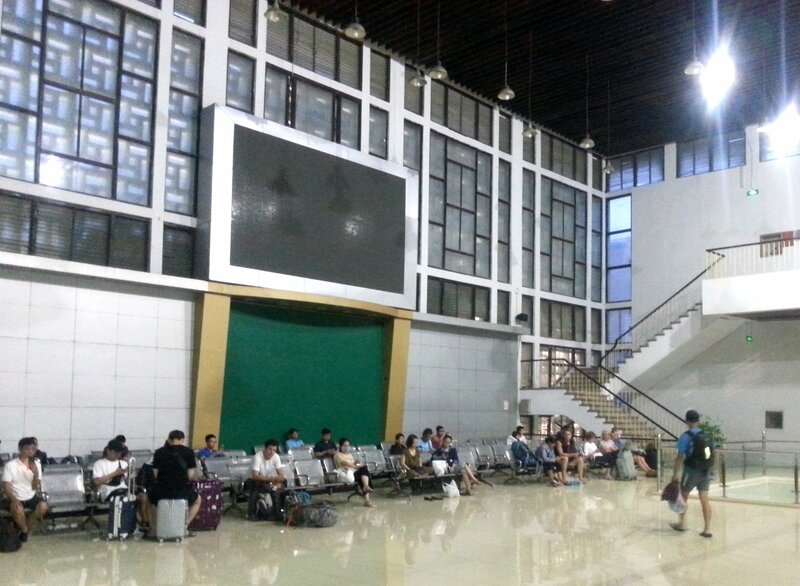 Like Saigon Railway Station, the system at Hanoi Railway Station is that passengers wait inside the terminal building until just a few minutes before the train is scheduled to arrive. Passengers then pass through electronic ticket barriers before they can access the station. The train station has several different waiting areas. The idea is the passengers wait in the nearest waiting area to the platform from which their train will depart. Hanoi to Hai Phong Line. There is a wider range of facilities in the main terminal building, Part A, than there is terminal building for trains to Lao Cai, Part B, although outside both buildings there always several private food vendors who have set up temporary stalls serving mostly great food at inexpensive prices. The Part A terminal building is divided into sections each serving a different departure gate: three downstairs and an arrival/departure gate upstairs. The consequence of this segmentation is that the inside of the station feels like a maze with ticket counters, toilets and shops located in both wings of the lower level of the building. As you go through the main entrance of Hanoi Railway Station you will find ticket counters in both wings of the station building, just pass through one of the connecting corridors to access one the banks of ticket counters. During busy periods a queuing system is sometimes in operation, which involves collecting a ticket with a number when you enter the ticket hall and waiting until that number is called before approaching a ticket counter. 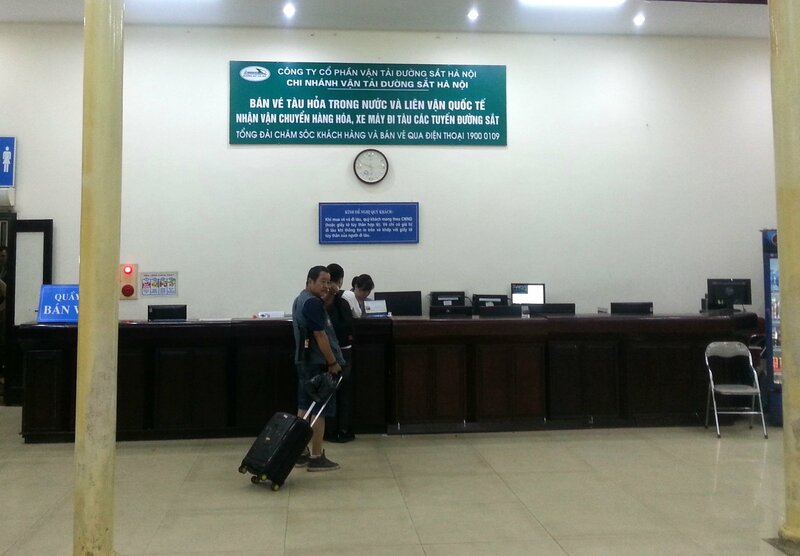 You can book trains in advance at these ticket counters and they accept US Dollars as well as VND. Be aware that if you try to book an overnight train on the day of travel you may not be able to secure a sleeper berth. If you want a sleeper berth it makes sense to book in advance. For destinations other than Ho Chi Minh City (also known as Saigon) click into the box and type in the first few letters of your desired destination. This will activate a drop down list from which to select your destination. 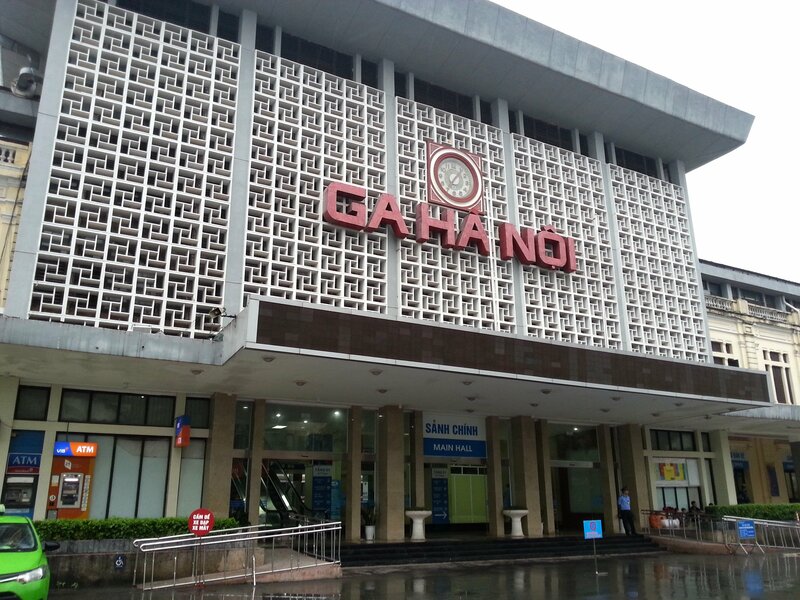 There are 4 daily train services from Hanoi to Saigon. Buy train tickets from Hanoi to Saigon. 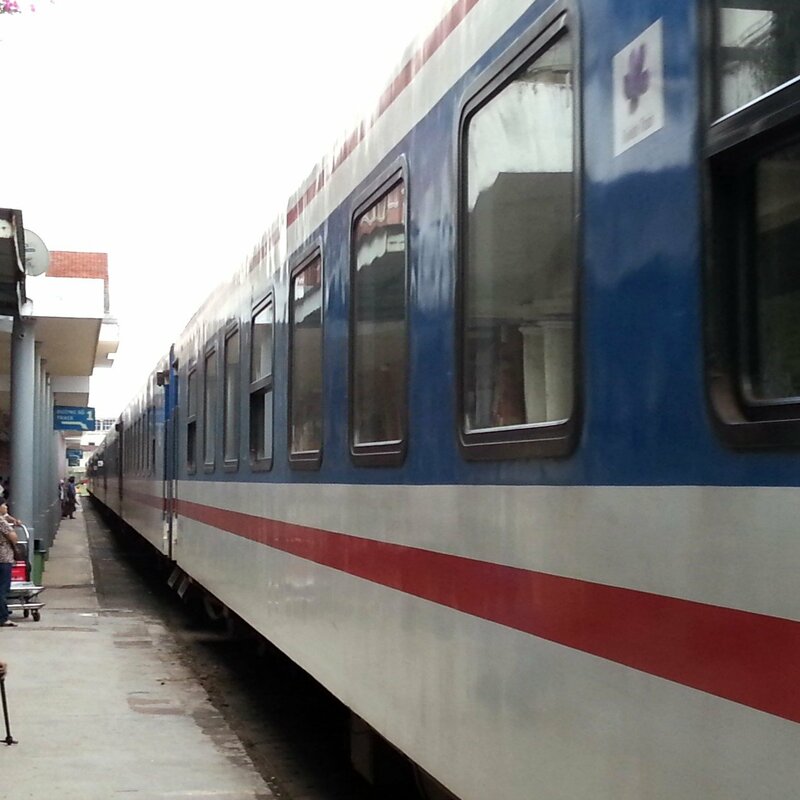 There are 4 daily train services from Hanoi to Da Nang. Buy train tickets from Hanoi to Da Nang. There are 4 daily train services from Hanoi to Lao Cai. Buy train tickets from Hanoi to Lao Cai.